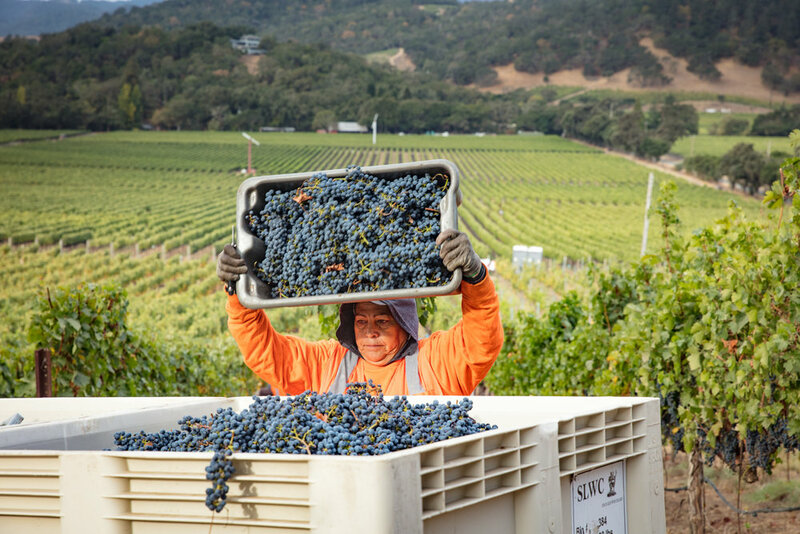 It’s harvest time in the Napa Valley, filled with tractors on roads, the smell of crush, the incredible teams of hard-working, fast-moving people, whom I thank for letting me shadow that day. Each year, we're in a rush to find all of the "official" wine days to celebrate. Last year, VinePair posted this awesome list, but we haven't seen an updated one, so we're starting anew. We just found this list from Wine Lady which we're loving - thanks for helping us fill the calendar, Wine Lady! Help us fill in the blanks! Also, are there more beer days? Spirits days? Let's book 'em, Danno. Whiskey Day? Wait, this is every Wednesday, I believe. Let's build the most comprehensive celebratory adult beverage calendar out there. Booking a food photography shoot still gives me butterflies. I absolutely love shooting food & drink, it's been a passion of mine for years and now I get to do it as a part of my business. One of my favorite parts of prepping for a food photography shoot is collecting props. Part of that is, of course, it's a mandatory shopping trip, whether that's retail, thrift shops, around the house...or someone else's house. Lucky for me, my parents have collections of insanely cool kitchen tools. As a part of this adventure, I wanted to document some of the things I've learned along the way and hopefully help someone else in their food photography adventures. 2. Create a mood board. "Light & bright! Dark & moody! Rustic! Modern! Elegant! Fancy! Casual!" What does it all mean! Nothing helps both the photographer and the client like a mood board. Use Pinterest or collect images based on the creative brief and review in depth with the client. You want to be sure what you envision is what they envision - it's amazing how much of a disconnect there can be when using only words to describe a photo...hence the saying, right? 3. Props! Now that you know what you're looking for exactly, you can start prop shopping! (Exclamation points are truly necessary here, shopping is exciting.) Assess what you have at your house. You have a lot more than you think you do - even something that may not be the right style could be the right shape, color and height. Grab it. Shop other people's houses: if you're lucky enough to have parents like mine (for many reasons, Mom & Dad, in case you ever read this), you have a treasure trove of props to choose from. Thrift stores & garage sales: visit and visit often. One man's trash is another man's prop. Finally, shop retail. Fill the holes in your prop list with items from discount stores like Ross, Marshalls, HomeGoods and TJ Maxx. Sign up for email coupons for places like Kohl's and Target. When you see something that is neutral enough to fit in many shoots, pick it up! Collect more props than you think you may need if the shoot is on the flexible side. Nothing is worse than going for another setup and having to reuse props that already had their time in the spotlight. Regardless of the style of the shoot, bring glass items. The slight sparkle in the bokeh can sometimes be just the thing. Bring a variety of heights. Short, medium, tall - you'll need all of them. Bring a variety of hues in your color palette. Bring a variety of widths. Bowls can be tough - the deeper the bowl, the tougher it will be to get the shot if you need one from the side. Having a variety of bowls from shallow to deep will keep you sane. Use boxes (metal, wood, ceramic, glass, etc.) for risers - sometimes your salad just needs a little lift. Linens: choose the fabric and colors (and patterns) that fit in your shoot. Bring tablecloths, napkins (small, large), and runners. Linens will soften your setup and add texture that can bring it all together.